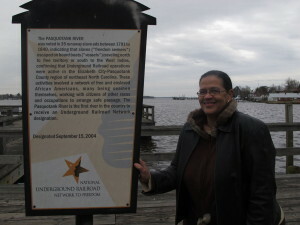 Welcome to the Halifax County Underground Railroad Trail website. 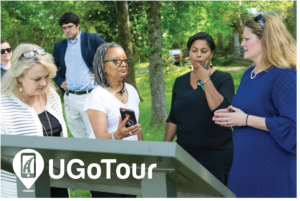 This site was initiated by the Halifax County Convention & Visitors Bureau and the Halifax County Underground Railroad Committee, after extensive research in conjunction with North Carolina State University History Department. The purpose of this site is to display the study completed in 2013. The website leads you to maps that show the tremendous amount of Freedom Seekers with connections to Halifax County, NC. Halifax County has three National Park Service designated Network to Freedom Sites. 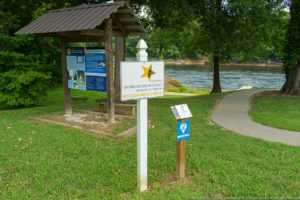 These sites are Old Town of Halifax, Roanoke River, and the Roanoke Canal. The National Park Service is implementing a national Underground Railroad program to coordinate preservation and education efforts nationwide and integrate local historical places, museums, and interpretive programs associated with the Underground Railroad into a mosaic of community, regional, and national stories. Please use this site to explore this history and the continuing research presented here. 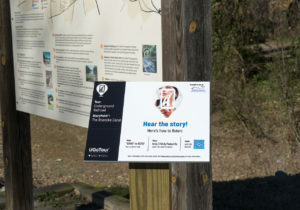 Underground Railroad Trail – Take the Tour! The Roanoke Canal, Roanoke River, and Historic Halifax were all part of the Underground Railroad’s complex transportation network. At these locations, you will find a sign that allows you to play narration for the story point along the tour. Click here to learn more. Read this story on PilotOnline.com. 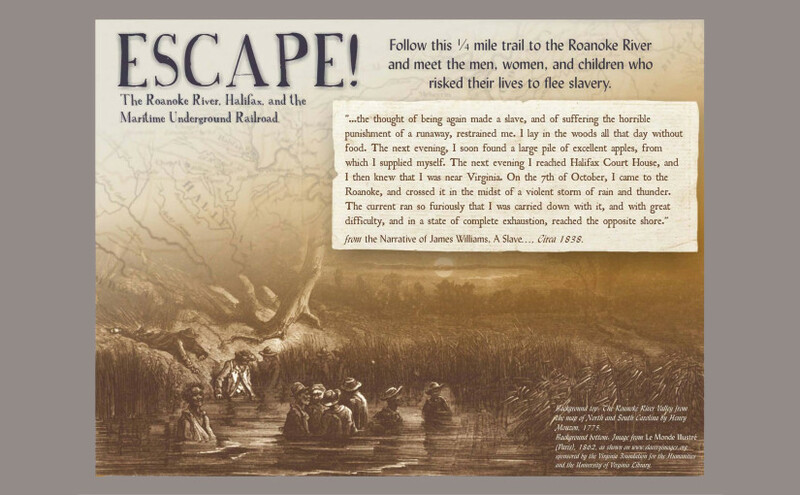 URR was an informal network of trails, rivers, safe houses, and sympathetic men and women (black and white) who helped enslaved people gain freedom in Southern communities or by traveling to the North (and Canada). How do we know about the URR in Halifax County? Evidence—newspaper ads—Halifax County Convention & Visitors Bureau funded research to catalogue all these ads related to the county.